UNIVERSITY PARK, Pa. – The No. 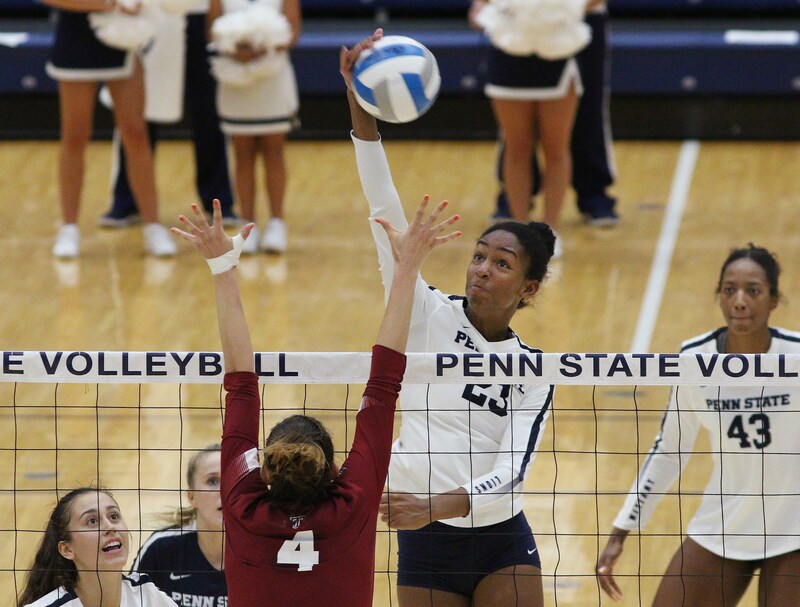 5 Penn State women’s volleyball team heads to the nation’s capital to take part in the American Volleyball Classic, co-hosted by American University and Howard University on Friday, September 14 and Saturday, September 15. Penn State is 7-0 against American, with the last match coming in 2014. However, Penn State has never played at American. The Nittany Lions are 4-0 against Buffalo with the last win coming in 2015 in UB’s Blair Brown’s (PSU ‘06-10) first season at the helm of the Bulls. Penn State is 4-0 against Howard which will be a rematch of the 2017 NCAA tournament opening round match. Penn State won the match, 3-1, and the second set taken by Howard was the first set dropped by the Nittany Lions in an opening round match since 1989. Penn State women’s volleyball’s Kaitlyn Hord was named the Big Ten Freshman of the Week for averaging a team-best 3.83 kills per set, on a team-high .538 hitting percentage. She averaged 2.00 blocks per set, also a team-high. In the match against Stanford, Hord put down seven kills on a .500 clip, adding five blocks. On Saturday against Oregon, Hord put down 16 kills in just three sets, the most by a player for Penn State so far this season. Hord was also efficient, hitting .556 for the match, and added a huge defensive spark as she added seven blocks. Hord is the first Nittany Lion to earn a Big Ten weekly honor this season, and is the first to win a Freshman of the Week honor since Haleigh Washington in November 2014. Taylor Leath is currently at 987 kills for her collegiate career. She is just 13 kills away from reaching the elusive 1,000. In her first three years at North Carolina, Leath put down 928 kills. Kendall White scooped up 113 digs so far this season, putting her at 1,075 for her career. She is the first to surpass 1,000 since Dom Gonzalez in 2011-14. The Nittany Lions will now take on the Buckeyes on Sunday, September 23 at 1 p.m. ET. Penn State has also moved the home match times of the November 23 and 24. Both the match versus Minnesota on the 23rd, and the match versus Wisconsin on the 24th have been moved to 8 p.m. ET as the matches were picked up by the Big Ten Network in the wildcard selection.